I have loved the Doctor Aphra series and it’s well worth reading. But as much as I have loved it I have to say that issue #13 doesn’t quite fall into that category. I like the issue, I just didn’t love it. It certainly is a good issue and writer Kieron Gillen continues to maintain the level of quality of the story. 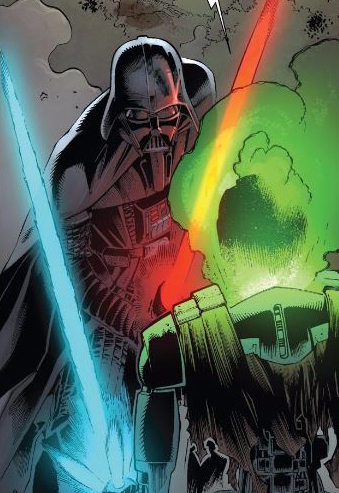 Vader is back and his battle with the ancient Jedi consciousness Rur is the standout moment of the issue. Artist Kev Walker also continues the high-quality art and again especially during the Vader/Rur fight. The reason this issue didn’t earn the highest marks from me is that the book is a wrap-up issue. It concludes everyone’s storylines, sends them on their way and gives the reader a glimpse of what is next. While that’s all fine and good it just doesn’t elicit the excitement and action of what came before it. There’s a perfectly good reason to do this and honestly outside of a mini-series most books don’t go to this level to tidy up the house before moving on is such a definitive manner. 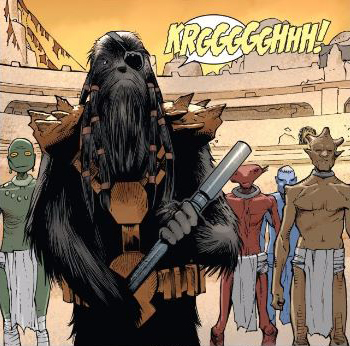 On the plus side, it is nice to see a conclusion to the many different plot lines Gillen has been juggling since Aphra first acquired the Rur crystal, running through the crossover The Screaming Citadel and wrapping up with a semi-confrontation with Vader. “Semi” meaning to simply hide from Vader. This is where the one single disappointment lies in the final two issues with Vader. With Vader distracted by Rur and then becoming a goal for Vader, it left no time for a final face-to-face with Aphra. Vader only senses her presence and ultimately abandons any confrontation chalking it up to being able to “losing some of the smaller fish” in light of a bigger prize. With all the storylines being wrapped up nicely this is the one that’s left unfulfilled and it would have been nice to see a final moment between the two. But seeing the final punctuations on the stories of Black Krrsantan, Triple Zero and BeeTee, Vader and the Emperor was a nice touch. Gillen tops off the stories with Aphra on a vacation but not before we see her, mirroring Han Solo, by doing the right thing with all the artifacts she has been collecting. She may be a “scoundrel” of sorts but still maintains a sense of right and wrong at the appropriate times. Gillen sets-up Aphra with a clean slate moving forward but quickly reminds us of Aphra’s self-preserving side by shooting first and asking questions later, just like Han. 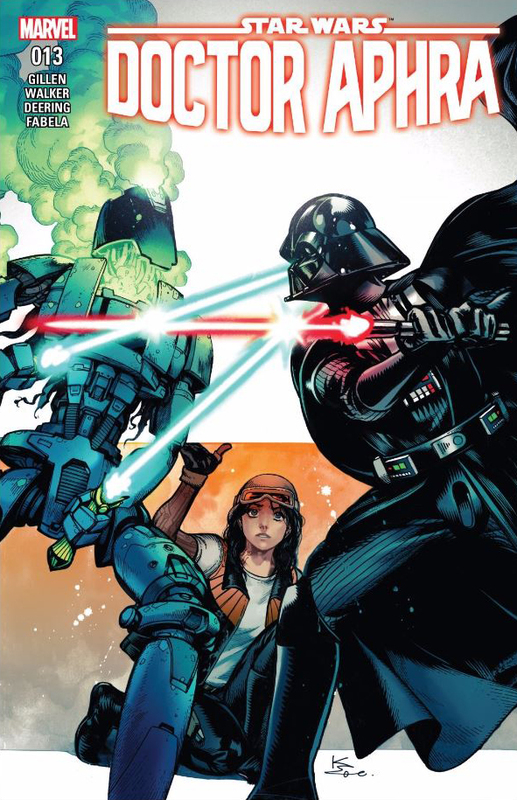 Star Wars: Doctor Aphra #13 is not a bust and for some will satisfy the curiosity of how the smaller players are moving on. 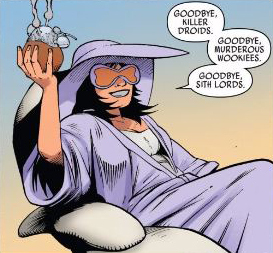 But a final Vader/Aphra scene would have gone a long way to elevating this book to a higher level that the majority of this series has been on from the beginning.